Throwback Thursday! 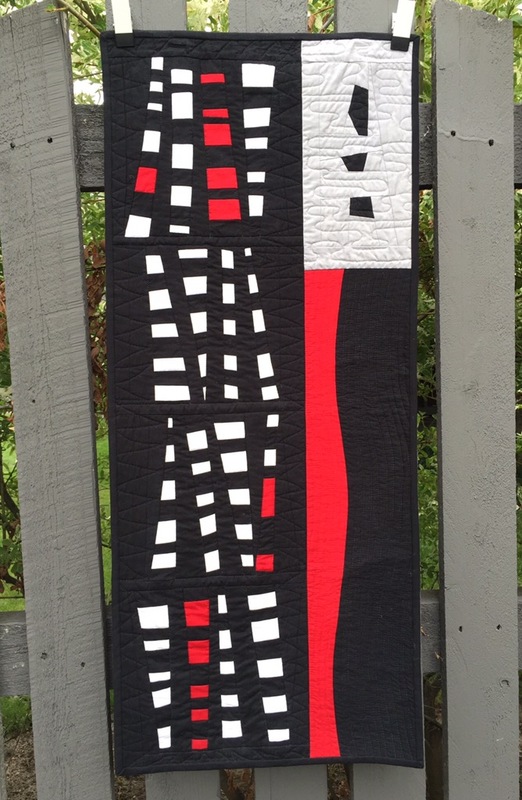 ~ Red and Black Quilts! 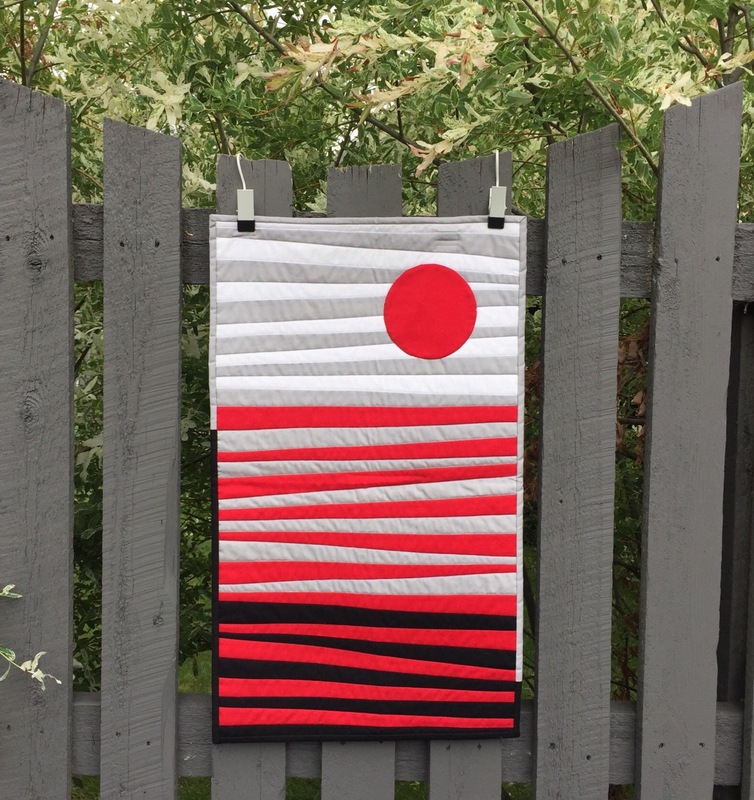 Since I am in a red/black/white quilt mood, I thought I would share some of my past quilts made in this color scheme. Red is my favorite color and nothing makes it pop like white and black (and a wee bit of gray!). These were all made back in 2008. 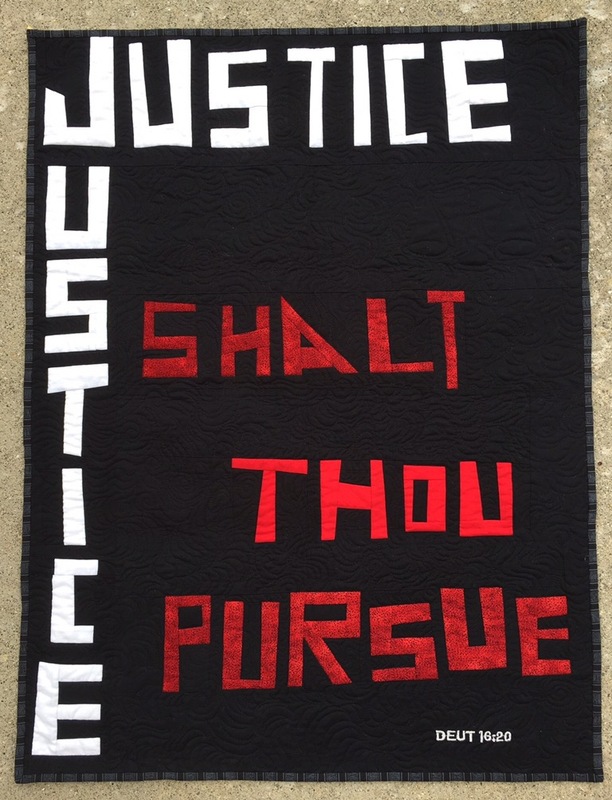 This first one was made as a result of some ponderings on the word, justice. This verse just resonates with me still. This was quilted on one of my domestic machines, can’t remember which one now. Probably my Singer 201 or 15. Looking at this now, it reminds me a bit of the current graffiti quilting phase! I remember randomly cutting the strips for the next one and just playing. After putting them together, all I could see was a reflection on water, so I added the red setting sun. I still love this next one, just looking at it takes me back to the time I made it and the things that were going on in my life at the time. Hope you enjoyed a look back at these quilts! This entry was posted in Art Quilts, Throwback Thursday, Uncategorized. Bookmark the permalink. 11 Responses to Throwback Thursday! 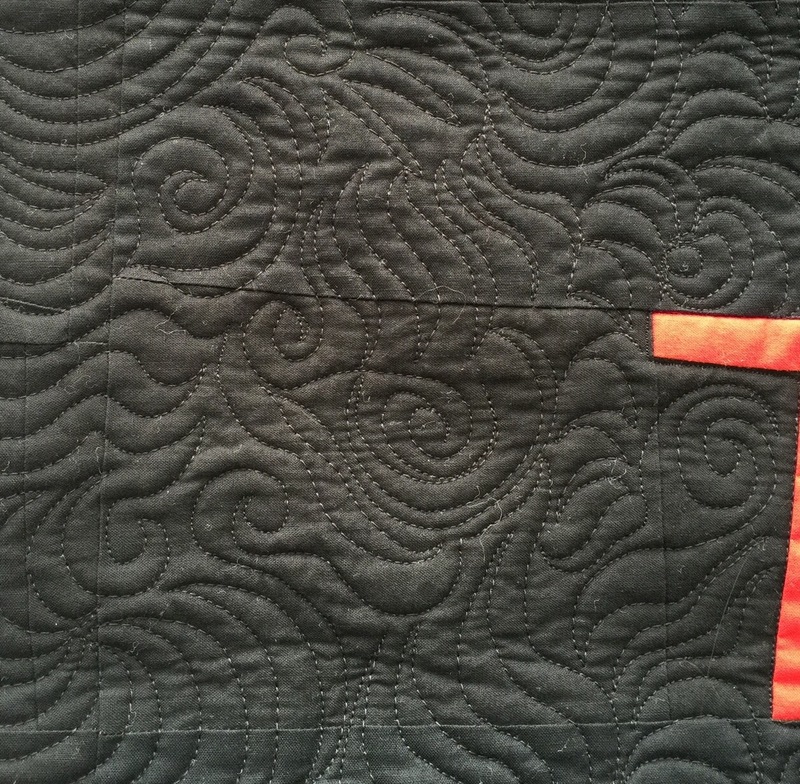 ~ Red and Black Quilts! 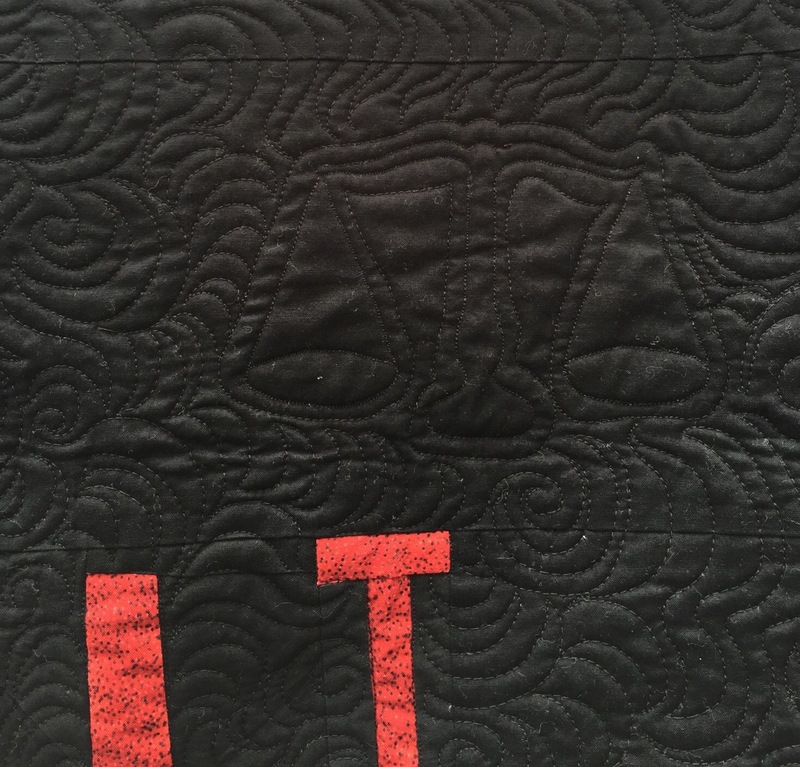 Love the quilting on the Justice quilt! Thanks for linking up with Throwback Thursday @ A Quarter Inch from the Edge! They are amazing! I have never used such a bold color schemed I have great respect for how well you pulled it off! Setting Sun is my favorite! I just love black, white and red together! Thanks for sharing! All so very modern; all so very nice. Thank you for sharing. These are 3 amazing quilts Katy! I especially like the setting sun one. amazing work! I love your Throwbacks!